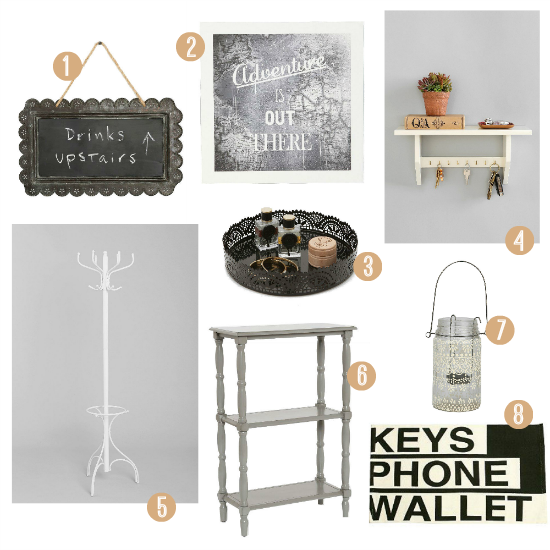 Most people probably don't make wishlists for an apartment entranceway. I get that. I totally get that. But I am someone who not only thinks a lot about the items they would like immediately beside their front door, but also someone who formulates a little collage featuring said items. And then blogs about it. I think of entranceways as your immediate look into a person's home, and for that reason it can be pretty important! It's your first impression and can set the tone for the rest of your spaces. Why not fill it with adorable things?